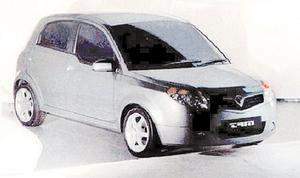 Sassy is the destined name for the new Tiara Replacement Model by Proton. Proton spokespeople gave this name which means “stylish” or “bergaya” as the Proton spokesperson said. The Proton Sassy or Tiara Replacement Model should be due very soon with the newspaper ads appearing much more frequently and booking forms available on Proton Edar‘s website. I don’t have any launch dates at the moment but I will update as soon as I get hold of the information. 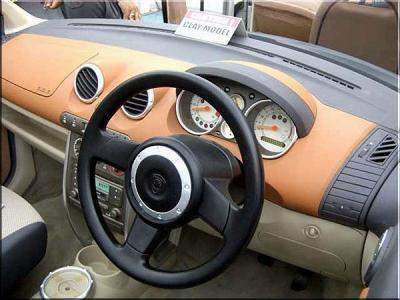 Anyway here’s a shot of a clay model for a Proton dashboard. I wonder if it will be used in the Proton Sassy. Looks like the sporty Lotus-type of look is still there. The Audi rip-off steering is still there. I don’t really like that colour which is supposed to give a luxury feel. This is a 1.2 litre small car. Somehow it doesn’t really suit the exterior image. So guys, who are you rooting for? The Proton Sassy or the Perodua Myvi? UPDATE: I have received information that Proton has renamed the Sassy to Proton Savvy. More about it here. For more photos of the car, you can check out the previous posts I’ve made below. Next Post: Perodua Myvi Launches Today!